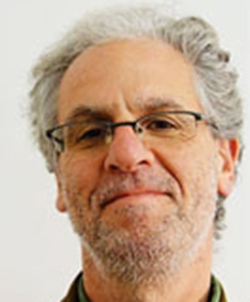 Campus professor Alan Tansman has been suspended after a Title IX investigation found that he violated the university’s sexual violence and sexual harassment, or SVSH, policy between 2007 and 2009, as first reported by the San Francisco Chronicle. Retired campus architecture professor Nezar AlSayyad filed a lawsuit Tuesday against the UC Board of Regents and Chancellor Carol Christ to reduce his suspension after allegations of sexual harassment. Retired campus architecture professor Nezar AlSayyad, who was suspended over sexual harassment allegations in August, is now suing the UC Board of Regents and Chancellor Carol Christ over his suspension. AlSayyad was suspended for three years without pay effective Aug. 13, after he was found to have sexually harassed a campus graduate student between 2012 and 2014. AlSayyad’s suspension is still in place, according to Wolch. For nearly two years after Nezar AlSayyad was found by a campus Title IX investigation to have sexually harassed a student, campus took little to no action. Campus architecture professor Nezar AlSayyad has been suspended for three years without pay after an investigation that found he sexually harassed a graduate student. Eva Hagberg Fisher, a former doctoral candidate in the campus architecture program, filed a complaint with the Title IX office in March 2016 against AlSayyad, alleging that he regularly hugged her, invited her for drinks or dinner and gave unsolicited compliments on her appearance while she was studying under him.